The spring summer 2013 collection by Alberta Ferretti took the viewers to the depths of the ocean during the London Fashion Week. The main idea behind the collection is creating the romantic and kind of fairy garments in the modern interpretation. 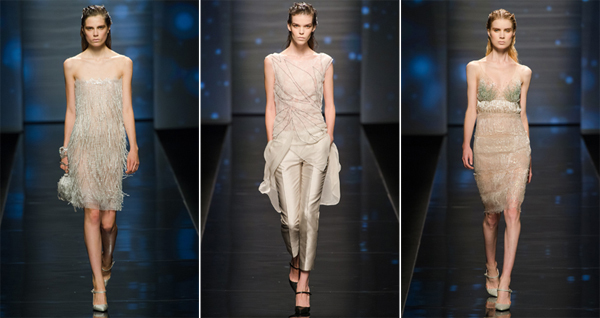 The models on the catwalk look like the sparkling fish with the bubbles projected in the background. This collection features the beautiful embellishment and original elements such as delicate peplums, elegant trailing layers, sparkles, shine and the bold color palette. All together the collection creates the impression of lightweight elegance and charm. The capes at the backs along with the slope cuts on the stunning gowns kept up with the ocean theme, while the sea creatures cover the shoulders and decorate the torsos of the splendidly embellished gowns. The collection is impressing with the beautiful silhouettes, luxurious fabrics and stunning embellishment like beadings and embroidery. 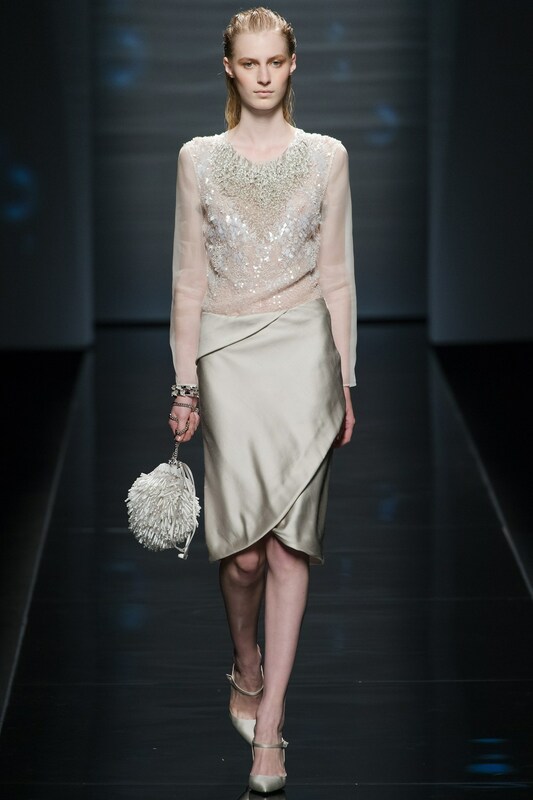 So, Ferretti created the striking collection with the signature elements that she is good at doing.